Uruguay Dove & Perdiz Hunting Lodge - Elena is the Perfect Place ! Dove hunting in Uruguay should be all about high volum doves all year - the chance to shoot MORE than just doves and the experience of a history filled estancia. Elena Dove Lodge provides all that. You can shoot high volume doves all year. From May 1 to July 31 you can experience the great Upland hunting in this part of Uruguay - the Perdiz. And this lodge is part of Uruguay's history. This estancia was built in 1806 and remains set on a beautiful ranch with lots of dove roosts and areas for the Upland field hunting. A large lodge for groups of up to 20, Elena dove lodge can also accommodate small groups. The rooms all have private bathrooms and with a redone game room, this lodge fits all hunters. The dove hunting is all day, the doves in Uruguay fly all day. Eared doves are much like the mourning doves North American hunters are familiar with. However, you will shoot a much higher volume - anytime of year. Uruguay does not place a limit on doves - why? Well, they are considered pests to the valuable crops and farmland. Uruguay depends on its crops and so hunters are a welcomed group to help with the high volume of doves. 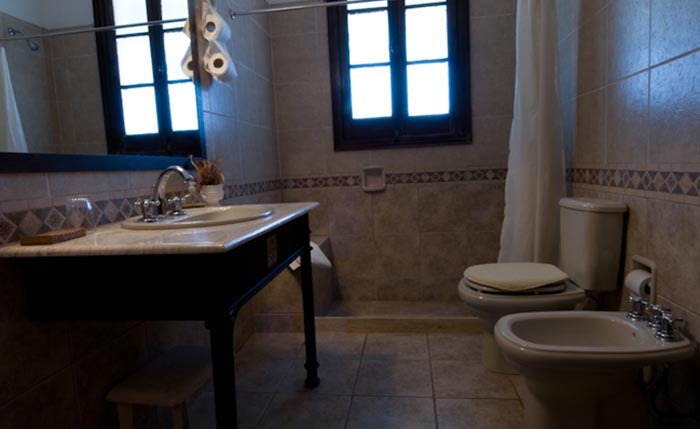 Elena dove lodge is very comparable to any Argentina dove lodge. The history, size, excellent shooting, and food - all make this hunting lodge supreme. Elena dove lodge is part of the Uruguay combo with duck hunting and dove hunting (and Perdiz). The typical trip starts with duck hunting at the Fortin Duck Lodge (eastern part of Uruguay) and follows with dove hunting at the Elena lodge (western Uruguay). After the last AM duck hunt, we tranfer the group in a comfortable van to Elena - takes about 4 hours. Uruguay is a scenic country and the driving takes place on toll roads - so makes for a nice drive. Elena offers dove hunting all day or doves plus Perdiz hunting during the Upland hunting season. After the last AM hunt (dove or Perdiz) the group heads back to the airport in Montevideo, Uruguay. The drive is less than 2 hours. Of course for those wanting to just hunt doves, come on down and enjoy Uruguay dove hunting at Elena. Contact Los Gauchos Outfitters today to book your Uruguay dove hunt. 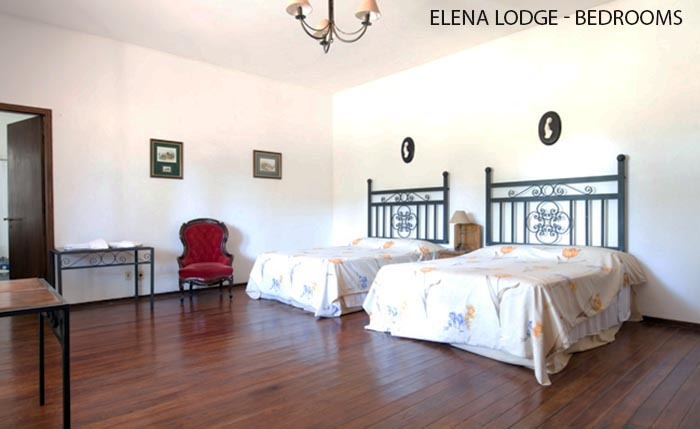 Uruguay Dove Lodge - Elena - is an historic estancia located near dove hunting fields and Perdiz hunting fields. The lodge is open for bird hunting all year. Dove hunting in Uruguay is a high volume shoot. No limits so shooting takes place all day. Dove Hunting in Uruguay is a trip every wing shooter should promise themselves they will do. The sheer numbers of doves in Uruguay is mind boggling, and this lodge adds to the great Uruguay hunting experience. Uruguay bird hunting is not just high volume doves - but good Upland hunting too. Where you stay is important and while Elena was built in 1806 - it has been designed to keep its history and provide excellent accommodations for Uruguay hunting trips.